Sarah has had a long time love of building and supporting community and enjoys creating connection and transformation for individuals and groups through classes, workshops, transformational retreats, and trainings. She is the founder and owner of Samudra Studio, a community-based yoga and meditation studio in Saco. Sarah’s classes leave the body feeling open and encourage mindfulness both on and off the mat through breath and body awareness. Sarah particularly loves the process of guiding students on an inner journey and into deep states of relaxation. Sarah completed her 200 and 500 hour teacher training with Fluid Yoga School and Kevan Gale and Betty Riaz. She is a certified SPA Yoga® teacher and assists SPA Yoga® founder Betty Riaz with trainings both regionally and internationally. 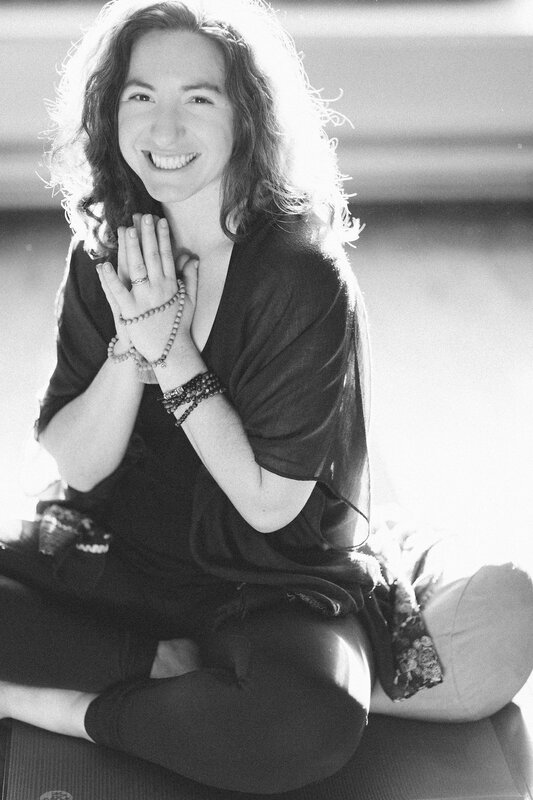 She has also studied and holds certifications in Thai Yoga Massage, Yin Yoga and Meditation, and this June, Restorative Yoga with Judith Hanson Lassiter. Sarah has been part of Maine YogaFest since its founding and is overjoyed to return this year!